With the establishment of the ASEAN Economic Community (AEC) at the end of 2015, ASEAN achieved a significant milestone in the region’s growing political, economic, and cultural integration. 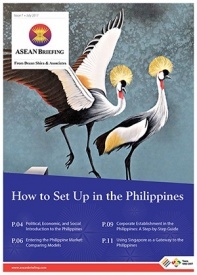 As set out in 2007’s ASEAN Economic Blueprint, the AEC seeks to “transform ASEAN into a region with free movement of goods, services, investment, skilled labour, and freer flow of capital.” While considerable progress has been made in liberalizing and normalizing the region’s standards in most of these areas, establishing the free movement of skilled labor lags appreciably behind. Although ASEAN has clearly stated its goal to promote skilled labor mobility, current policies not only trail the European Union, where freedom of movement is essentially unencumbered, but also less ambitious regional trade agreements such as the North America Free Trade Agreement (NAFTA) and the Caribbean Community (CARICOM). The lack of a cohesive regional framework, nationalist and protectionist policies, and middling political will impede ASEAN’s skilled labor mobility. However, employers can still take advantage of policies that facilitate the hiring of skilled workers in certain sectors to address the frequent skilled labor shortages found within ASEAN countries. Provisions for skilled labor movement within ASEAN principally revolve around Mutual Recognition Agreements (MRAs), which allow for a worker’s skills, experience, and accreditations to be recognized across ASEAN, permitting them to work outside their home country. The standards imposed by each MRA vary by profession. For example, an engineer must first hold a license issued by the regulatory body of his or her home country and have at least seven years of work experience following graduation, two of which entail significant work. The application would then be submitted to the ASEAN Chartered Professional Engineers Coordinating Committee for review and, if successful, the applicant would be permitted to work in other ASEAN countries as a “Registered Foreign Professional Engineer.” In contrast, case-by-case assessments have been eliminated entirely for the tourism sector, allowing automatic recognition for 32 tourism-related occupations. In addition to the MRAs, the ASEAN Agreement on the Movement of Natural Persons (MNP) and the ASEAN Comprehensive Investment Agreement (ACIA) streamline business visa procedures for citizens within ASEAN. People engaged in the trade of goods and services, investors, business visitors, contractual service providers, and intra-corporate transferees enjoy eased access for temporary cross-border stay. The eight occupations governed by MRAs, though increasing mobility, represent a modest beginning to ASEAN’s envisioned free movement of skilled labor. For example, NAFTA – which is a regional trade agreement rather than an association – lets professionals in 63 fields move between Canada, the United States, and Mexico with just a work contract. Workers covered by existing MRAs represent only 1.5 percent of the region’s workforce, and 87 percent of intra-ASEAN migrant workers are unskilled, many of whom are irregular and not governed by formal agreements. Further, while the MNP and ACIA facilitate cross-border business, visa standards are still not uniform across the region and do not increase employers’ abilities to hire skilled talent from other ASEAN member states. In addition to the limited amount of fields covered by MRAs, taking advantage of one often proves difficult in practice. 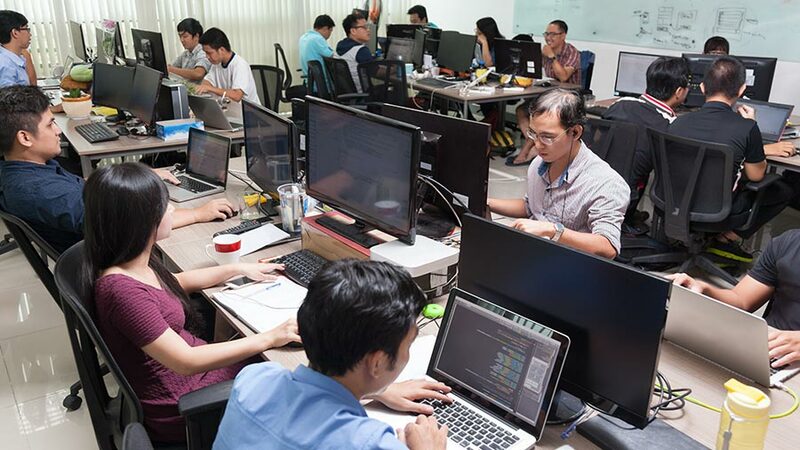 For Cambodia, Thailand, Myanmar, and Laos, companies must demonstrate that there will be a transfer of skills and knowledge to local employees and that foreign employees will eventually be replaced by locals. In Indonesia, companies must prove that the position cannot be filled by local employees, and the Philippines even constitutionally bars foreigners from certain occupations. Multinational companies, however, are able to bypass many of these restrictions by hiring employees from one country and then relocating them to another market. The restrictive labor policies held by several South East Asian countries demonstrates the lack of political and public will to pursue increased labor mobility. Politicians, professional associations, and the public alike fear migrant workers swarming richer countries and introducing increased competition and instability, while poorer countries fear losing their most educated to brain drain. Despite these concerns, there are labor and skill shortages in the Philippines, Indonesia, and Vietnam – countries that could benefit from skilled labor from other ASEAN states with stronger education. Similarly, other countries like Thailand, Malaysia, and Singapore are in need of affordable labor, which Indonesia could easily supply with its surplus of young unemployed workers. The dearth of effective labor mobility programs is also a symptom of the need for regional standards regulating various industries. ASEAN’s aviation industry, for instance, does not have common regulations for personnel licensing, training, safety and maintenance, flight operations, and air traffic management. Establishing common guidelines for industries across ASEAN could facilitate the growth of regional businesses and industries, build a larger and more qualified labor force, and promote interconnectivity. ASEAN is addressing some of these issues by establishing ASEAN Qualification Frameworks to create universal measures of qualifications and to harmonize regulations and by encouraging universities to cooperate and develop common standards. In the long term, increased skilled labor mobility in ASEAN is highly likely; however, the free movement of skilled labor remains far away. Indeed, it is the sole AEC goal that does not have specific targets to encourage and achieve progress. Given ASEAN’s goal of creating free movement of skilled labor, investors operating businesses in the region may be surprised to see such limited mobility between countries. In fact, companies hiring skilled foreign workers generally have no incentive to hire an employee from an ASEAN country over an international one. In most cases, hiring a foreign worker from another ASEAN member state requires following the same visa and work permit procedures as apply to other countries. For sectors covered by MRAs, however, employers benefit from access to a much larger potential talent pool. 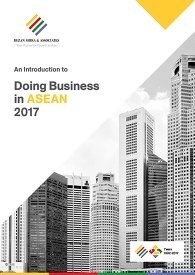 When establishing a business in ASEAN, it is essential for investors to have a clear understanding of the relevant labor market and potential skill shortages that may arise, particularly given ASEAN’s uneven levels of development and complex regulations. Interesting articles particularly on obstacles being faced to facilitate labour mobility within the region. It would be good if mapping of 10 ASEAN Member States’ obstacles for mobility could be also shown in this article.